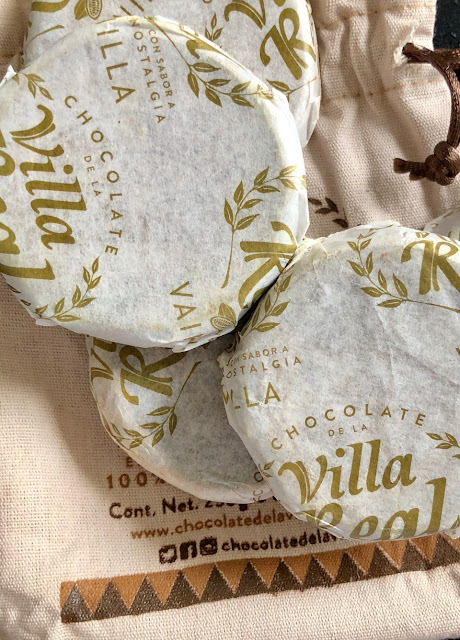 It's so exciting when friends go traveling and bring back far-reaching flavors. Thanks to Ben, I have an infusion of one of my favorite flavors in the world, traditional hot cocoa from Oaxaca, Mexico. There's nothing quite like it--simple ground cocoa, cinnamon, vanilla bean, ground almonds ground into a paste and modeled into round tablets. You melt a tablet into warming milk, and then then blend the concoction with a whisk or in a blender to create a vaguely spicy, flavorful and frothing traditional treat. 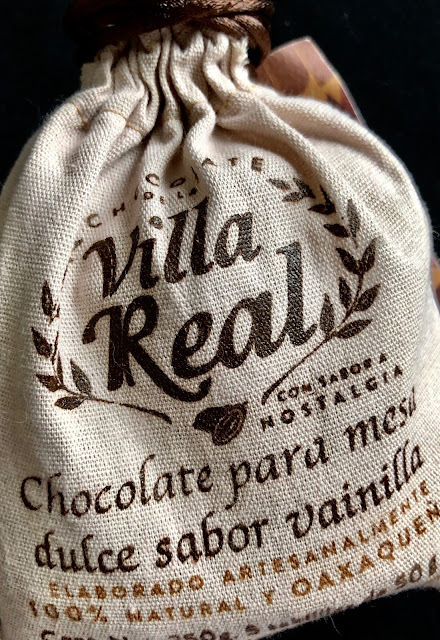 This is an especially good batch from one of the best purveyors in the city, Chocolate de la Villa Real. I can't stop whipping up comforting mugs of the stuff and each sip transports me straight back to the Zocalo. Thanks, Ben!